Posted Oct 11, 2017 by Eds. 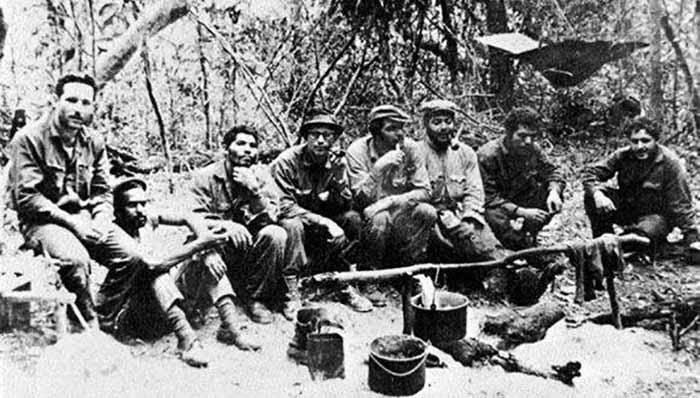 The proximity of army forces in the area in which Che’s guerillas were moving was a constant theme in his notes, be it a result of chance sightings or news heard on the radio, which as is often the case in such situations, could well contain misinformation purposefully disseminated to put pressure on the revolutionaries. Broadcast on the radio in fact (October 4), was a commentary that foreshadowed the events, projecting possible scenarios of a trial of the guerilla leader after his capture. 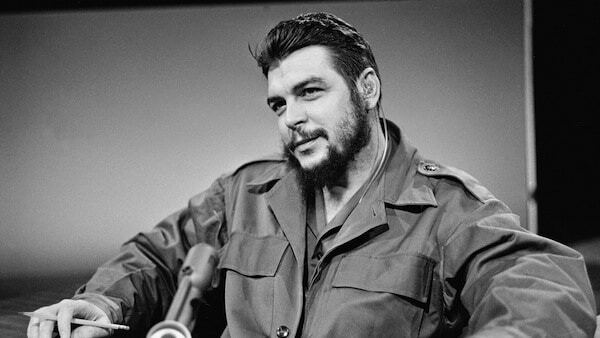 The speaker did consider the fact that Che would not give himself up without a struggle, except in extraordinary circumstances like those that eventually occurred. 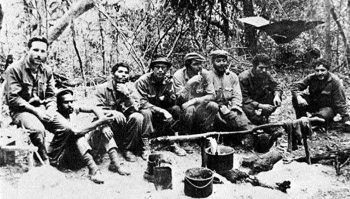 On October 5 and 6 soldiers were again sighted and the radio reported a disproportionate number of troops searching for the small number of guerillas. 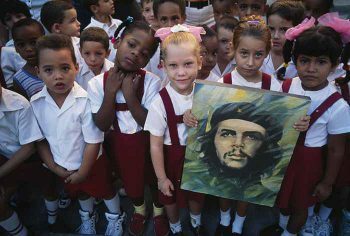 It was the prelude to the last note Che would write in his notebook. October 7, final entry: A chance encounter with a woman crossing their path through the mud and a radio report. Beyond this, the mention of four comrades, but no indication of desperation. This was the human being murdered in Bolivia 50 years ago, who had accumulated much experience in guerilla struggle, both in Cuba and on African soil. 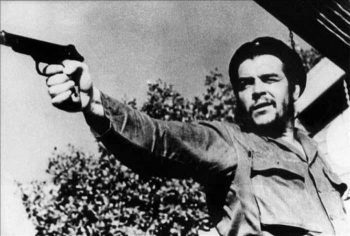 For Che, the idea of death, as part of the revolutionary struggle, was nothing foreign, nor a motive for fear. He was very clear: “In a revolution, one triumphs, or one dies (if it is a real one).” He was true to this principle until the last moment of his life. Since his untimely death, the tributes to the paradigm of a new man, in every corner of the globe, have not ceased. In Cuba, 1968 was declared the Year of the Heroic Guerilla. For decades, youth departed for Africa and Latin America to complete internationalist missions, inspired by his example. Hundreds of thousands immortalize his likeness on clothes and in tattoos; others venerate him like a saint; more than a few are committed to disseminating his thought and work. In only 39 years, the young man from the city of Rosario accomplished something not achieved by many who lived a century. He became part of the people’s history and remains so today, from the time of his travels across the continent of his birth, and his participation in the Cuban Revolution (first as a Rebel Army Comandante and then playing a leadership role in the country) to his departure to other lands calling for his contribution. 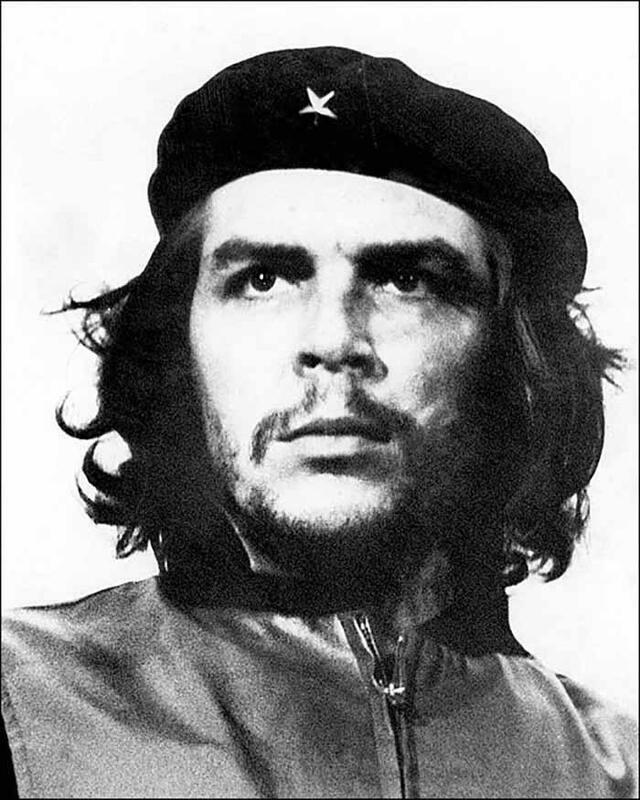 Asking for nothing, and giving his all, he left much more than his celebrated “Hasta la victoria siempre” (Forever onward to victory). His exemplary life and action are here. They never die. is your light less bright. in the wind and clouds of the Sierra. Not because you are hushed are you silent. stir in your deathbed of dollars. and olive in the skin of a young saint. gentle and hard, of a comrade commander. field uniform full of holes. of fiery gale and gentle rose.